El Salvador became the latest country to sever relations with the Republic of China on Taiwan and recognize the People’s Republic of China. As the fifth government in two years and the third in the last six months to do so, it left the island government with only seventeen diplomatic partners and a further diminished international presence. In a familiar ritual, the Chinese government celebrated one more validation of its claim that Taiwan was part of China, even as the Taipei government reaffirmed its claim to sovereignty and independence. The timing of recognition was perhaps the result of Chinese pique at President Tsai Ying-wen’s transit of the United States on her way to Paraguay. However, it was part of a wider effort to isolate Taiwan internationally. Since Tsai’s victory in 2016 and her refusal to accept the mainland’s claim that Taiwan was a part of China, Beijing has pressured her government to change policy by shrinking the island’s diplomatic visibility, limiting the conditions for its participation non-governmental international activities and demanding that hotels and airlines not list Taiwan as an entity separate from China. The United States response to China’s efforts has been shaped by its “One China Policy” which, while it “acknowledges” (but not accept) China’s claim that Taiwan is part of China, also does not recognize that Taiwan’s government as a sovereign state eligible to take part in international organizations where statehood is required such as the United Nations. Still, Washington has advocated for Taiwan’s “meaningful participation” in international organizations for which statehood is not required and has supported efforts by Taiwan to expand its international profile in other unofficial ways. Still, even though American administrations have pushed the boundaries of relations with—and support for— Taiwan, they have carefully avoided any suggestion of support for its government’s claim of independence and sovereign status. To cross that red line would be an explicit rejection of the fundamentals of China’s claim to Taiwan that would shake the foundation of Sino-American relations. 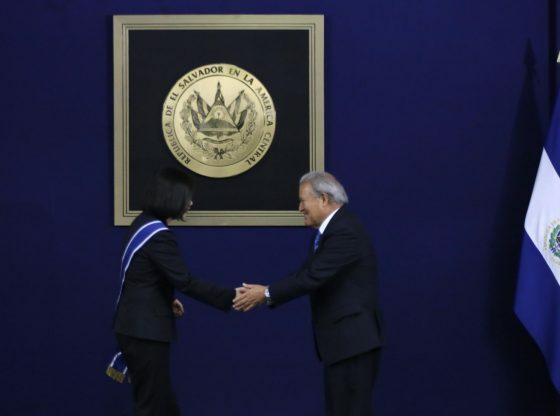 The analysis in this article suggests that, in its recent reaction to El Salvador’s change in diplomatic partners, the United States has moved perilously close to that line. In early September, legislation introduced into the Senate called for the State Department to report on “actions taken by the United States to affirm and strengthen Taiwan’s international alliances around the world.” It proposed rewarding countries that maintained diplomatic or unofficial relations with Taiwan while penalizing those who would downgrade relations. One instance does not, necessarily, represent a change in policy. Still, it is useful to inquire, first, whether Washington’s reaction to Chinese recognition of El Salvador is consistent with broader trends in United States China policy and secondly, whether it represents a change in American policy toward the cross-strait relations. To answer the first question: the reaction described above is consistent with the direction American China policy was taking during the summer of 2018. Sino-American relations under President Trump continued on the downward trend that had begun in the last days of the Obama administration. 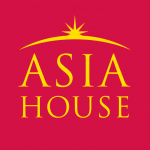 With China identified as a “revisionist” power and a “competitor” challenging “American power, influence, and interests,” Sino-American disputes arose on issues ranging from trade to security in the South China Sea. Consistent with this trend were Washington’s recent efforts at “strengthening alliances and building new partnerships in the area” in response to Beijing’s involvement in Latin America. This direction was aggressively promoted by Secretary of Defense James Mattis who toured the area the summer of 2018 warning of Chinese economic and military ambitions and proposing that the United States National Guard link up with South American military. In contrast to this trend, after the December 2016 phone call between Trump and Tsai, the cross-strait issue did not figure prominently in the worsening Sino-American relationship—at least as far as the Executive Branch was concerned. In Congress, Taiwan’s supporters promoted legislation consistent with the overall “hardening” of China policy. However, the legislation was not a radical departure from past initiatives regarding arms sales, military cooperation and visits. Thus, it is not surprising that the Trump administration’s reaction to El Salvador’s actions was far more vigorous than reactions to earlier defections by the island’s partners. This was consistent with the growing concern regarding the direction of Chinese foreign policy, in general and toward Latin America, in particular. Yet, the content of the response was neither consistent with earlier responses to the mainland’s attraction of Taiwan’s diplomatic partners nor the United States “One China Policy.” Earlier the focus had been on the impact on stability in the Taiwan Strait area. Now, “political interference in the Western Hemisphere” was linked to cross-strait relations, implying that American interests in these relations were not limited to its impact in East Asia. The problem here is that Taiwan’s “official relations” are based on the Republic of China being considered a sovereign state—a fact denied by both the United States and China. Indeed, this denial of Taiwan sovereign state status is not only one of the few areas of agreement between the two, it is an important pillar supporting Sino-American relations. Since normalization in 1979, it has allowed the United States to balance the provision of essential support for Taiwan with some acknowledgement of Chinese sensitivities. Although this balance has never really satisfied China, upsetting it by acknowledging Taiwan’s sovereign status would be catastrophic for Sino-American relations and threaten the American interest in the security of Taiwan. Of course, at the moment, it is not clear whether the aspects of the initial response to El Salvador’s relations with the mainland discussed above reflect a new direction in American cross-strait policy or just a momentary outburst from the executive and legislative branches. However, if it is the former, caution is necessary, as the consequences for stability in the area would be significant. Steven Goldstein is an Associate of the Fairbank Center and the director of the Taiwan Studies Workshop at Harvard University. From 1969 to 2016, he was the Sophia Smith Professor of Government at Smith College. Image credit: CC by Presidencia El Salvador/Flickr.